I have a stereotypically British sense of humour. Give me someone being whacked round the head with a frying pan or a joke about a lovely pear and I will turn into a cackling mess – so obviously I am quite the panto fan. What can I say; it’s an essential Christmas tradition. Okay, so as a child that tradition took the form of yearly repeats of the ITV productions on TV, but now that they’re not shown anymore (hold it together, Heather), and I happen to be an adult with an adult’s disposable income, I have decided to make an annual trip to Eastbourne part of my festive tradition. Panto is best enjoyed in company, of course, and there’s only one man who can tolerate my horrendous laugh for the entire two-and-a-half-hour performance: Bradley, my best friend. 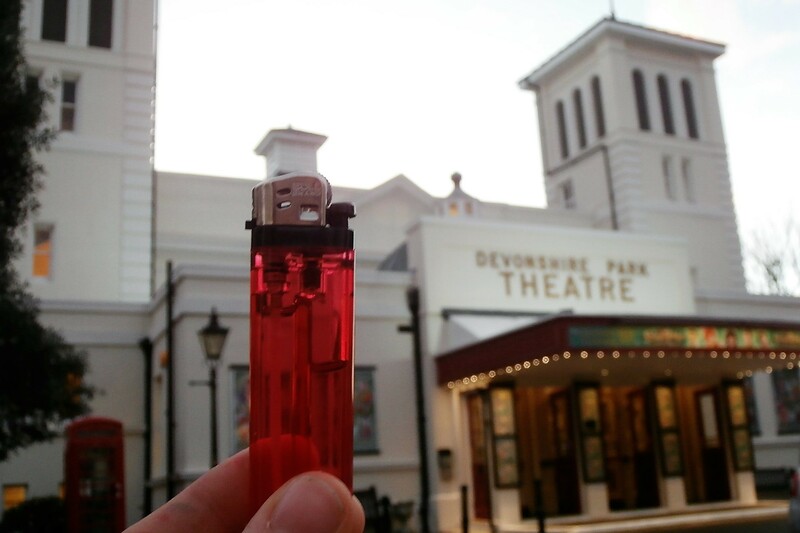 We arrived at Devonshire Park, a place that sounds more like my distant moneyed uncle than a theatre, to see Snow White and the Seven Dwarfs. On a mission to demonstrate his recent un-stingy-ness (now a word), Bradley paid for the tickets, a stark contrast to last year, when his mum had to force him to buy me a present. His newfound joy of spending resulted in fabulous seats in the stalls, and he even bought me a programme. We perused it in our red velvet seats, treating it as a mail order catalogue of sorts to decide which dancer’s splits and high kicks we’d be most looking forward to. It was more than just the seats which were crimson velvet in fact; the stuff seemed to be to the theatre what skin is to humans, meaning my lighter could be nothing other than simple red. As the music started, I whacked Bradley in the arm in an odd gesture of appreciation. I should probably note now that I am, indeed, that woman. You know the one. The one with a laugh that sounds like a goose being nailed to a wall, who you wish would be swiftly garrotted under the cover of a high note. I tend to arrive at a theatre with an expectation that at least six people will turn and stare at me disapprovingly during a performance. If I’m really on game, someone will move to the upper circle and a child will start crying. I’m always on edge in the interval, half-expecting hordes of mildly-annoyed southerners to come at me with those tiny wooden ice cream spoons, sharped with their teeth under the darkness of the first half and now ready to draw blood. I do try to control myself – I really do – but when presented with an alternative version of “The Twelve Days of Christmas” where a partridge in a pear tree is replaced with a bra that was made to hold three, there’s not much I can do. All I can say is that in a panto where the dancers are far too good to have two left feet, it seemed only right to be presented with two left cups as a happy alternative. My favourite moment in any panto, though, is always the ‘messy’ scene. The one that the stage hands dread and the audience hungers for. This one revolved around trying to make toad in the hole, and, if I’m honest, I started out a bit disappointed. Someone was sprayed with milk, there was a bit of flour thrown about, but that was the level of mess. As an entire-bowl-of-custard-over-the-head sort of punter, I wasn’t over impressed. But all that was compensation for when, each time the panto dame went to put the pastry over the sausages (not how you make toad in the hole, just saying) they adopted what can only be described as a phallic incline. Being the easily entertained woman I am, that was enough for me. When the dame pulled out a gun and shot the sausage in a smashing piece of comedy violence, I saw that as a lovely embellishment on an already amusing skit. But when a sausage rose up one final time, embellished with a white flag as the Last Post played, that’s when my laugh reached a Jimmy-Carr-meets-Mrs-Krabappel high. After an interval of ice cream and sticky fingers, and the mysterious disappearance of the gentleman in front of me (I told you, didn’t I tell you?!) the lights lowered again, and we returned to a world of fart jokes, explosions and a potato superhero (all in the same scene). Then we had toilet rolls lobbed at us, before being accused of stealing them and attacked with super soakers as punishment. But all was forgiven when it snowed indoors, and we held our hands out and let it rest in our palms. Panto is often given a bad name. It’s considered predictable, with low level laughs, its jokes taken out of a pound shop-joke book. And it is definitely all those things. It has dodgy bits. The dwarfs were terrifying; tiny stage-school children concealed beneath creepy masks, performing over-the-top gestures as men’s voices were played over it. There was a giant Olaf so distorted that it looked as if he’d finally found out what summer is like. And it is definitely true that Justin Timberlake’s “Can’t Stop the Feeling” was not a song made to be sung in a Southern English accent. But then you get a moment where the population of an entire theatre stands in the aisles and dances to ‘Shake a Tail Feather’. Where else in the world would you ever consider doing that with strangers? Pantomime creates a moment of community, and of safety. You can do no wrong in a pantomime theatre, and for two-and-a-half hours the biggest problem in your life will be whether you’re shouting ‘HE’S BEHIND YOU!’ at the right moment. If there’s one thing that’s going to wash away the pain of 2016, it’s an evening of sing-a-longs and bum jokes. Merry Christmas to all our lovely The Lighter Journal readers, and we hope you’re having a wonderful time.